Discusses the origin and meaning of 21 sayings used in American English. About James A. Cox (Author) : James A. Cox is a published author of children's books. 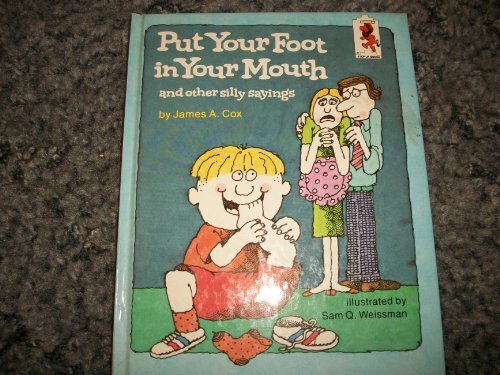 Published credits of James A. Cox include Put Your Foot in Your Mouth and Other Silly Sayings (Step-Up Books ; 31). About Sam Q. Weissman (Author) : Sam Q. Weissman is a published author. Published credits of Sam Q. Weissman include Put Your Foot in Your Mouth and Other Silly Sayings (Step-Up Books ; 31) and An Apple to Eat or Cross the Street.